Sardinia’s rich and varied history has made it an incomparable food destination, with influences stretching back 2,500 years. Learn more about the food and drink of this beautiful Mediterranean paradise. We always think of Sardinia as being Italian – and it technically is – but the island is a far stretch across the Tyrrhenian sea from the Italian mainland, so much so that it is as close to Tunis as it is to Rome, and much closer to the French island of Corsica. As the second largest island in the Mediterranean, Sardinia has always been coveted, and the Phoenicians, Romans, Byzantines, Arabs and Spanish have all called the island home over the last two millennia. Even before that, the island was home to the Nuragic peoples – one of Europe’s oldest civilisations. 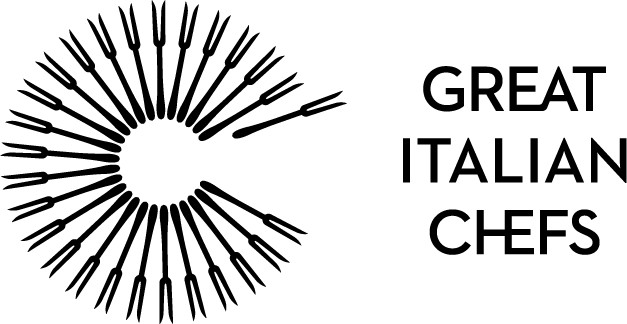 As a result, modern day Sardinia is a one-of-a-kind conflation of cultures, with a unique food scene to match. The ‘Emerald Coast’ in the northeast of the island is a particularly popular destination – home to beautiful old fishing towns like Santa Teresa Gallura, and some of the Mediterranean’s most beautiful coastlines. 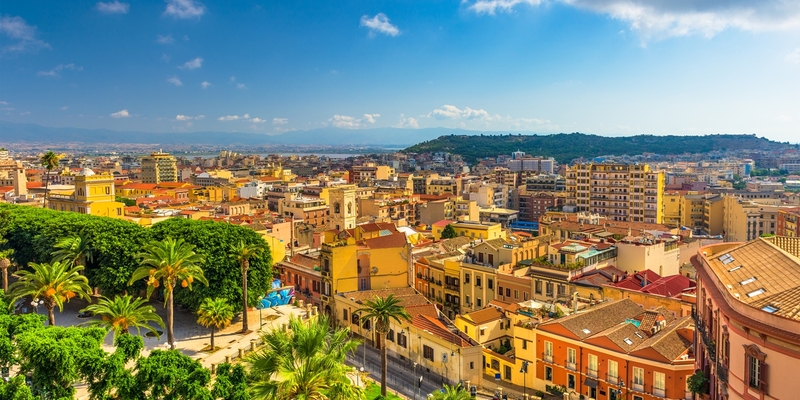 Wherever you go, you’ll find a rich tapestry of influences, from the Catalan-inspired Alghero on the west coast to the ancient and historic capital of Cagliari in the south. Sardinia is already famous as the home of bottarga, fregola and the infamous Casu Marzu cheese, but the island has so much more to offer for gastronomic adventurers. 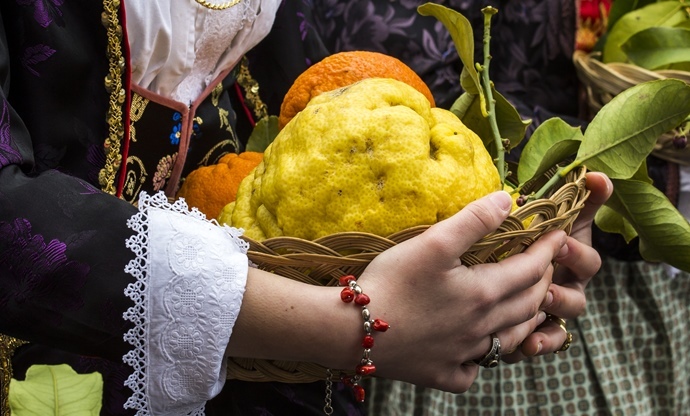 Read on for some more Sardinian specialities to watch out for when you visit. Bottarga is emblematic of Sardinia’s special and unique food traditions. 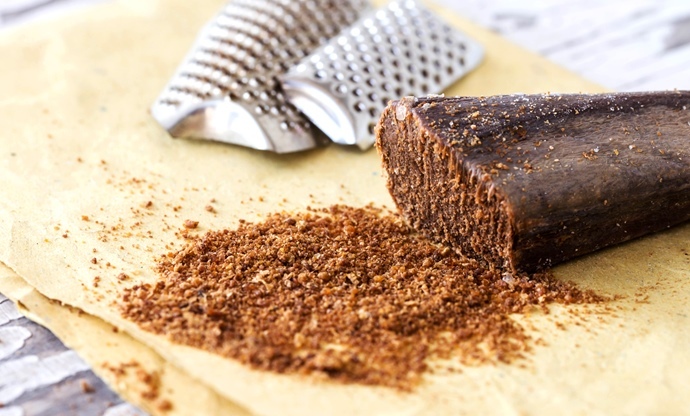 Grey mullet or tuna roe is dried, cured and pressed into a block of delicious, umami goodness, and usually grated over pasta or served in thin slices as a starter. Although it’s become incredibly popular in modern European cuisine, the majority of top-quality bottarga stays on the island, so keep an eye out for it whilst you’re there. 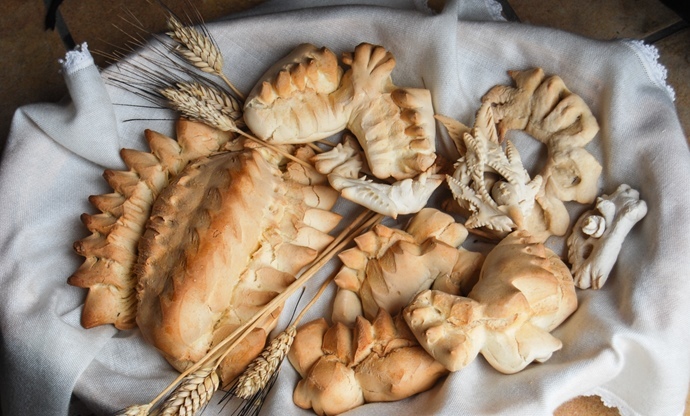 Sardinia is known for its many different varieties of bread, ranging from simple rustic loaves to intricately decorated and shaped coccio which are baked for special occasions. The wheat grown on the island is regarded as the best in Italy, and was even exported by the Romans across the empire. Sardinia has a special affinity with cheeses, perhaps in part due to its close proximity with the French-governed island of Corsica to the north. 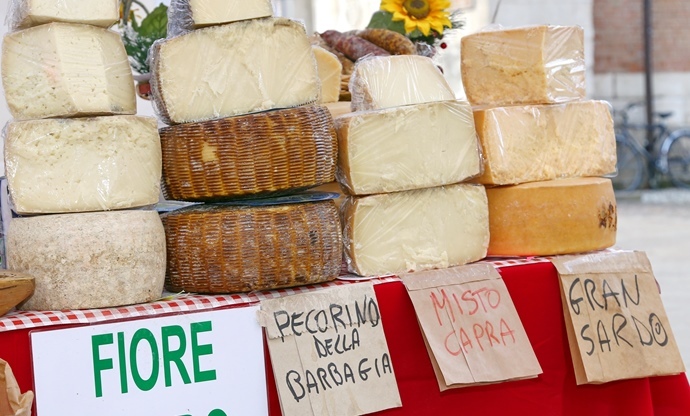 The island produces lots of sheep’s cheeses, with fresh whey made into ricotta, whilst curds are moulded into pecorino. Most famous of all is Casu Marzu – a Sardinian pecorino that contains live maggots. Though the legal status of the cheese is questionable (you won’t find it on sale in shops anywhere in Sardinia or the world), it’s still considered a great delicacy by the locals. Great seafood is all about freshness, and Sardinia’s access to the bounty of the Mediterranean makes it a paradise for seafood lovers. Sardinian fishermen bring home lots of sardines, of course, as well as swordfish, tuna, lobster, clams, and a bounty of other fish and shellfish. Keep a special look out for sea urchins too – a Mediterranean delicacy with the strong saline flavour of the sea. If seafood isn’t your thing, don’t fret – Sardinians love their meat too. There are more than four million sheep in Sardinia, so lamb and mutton are both prominent if you head a bit further inland, but goat is popular on the island too, as are pigs. 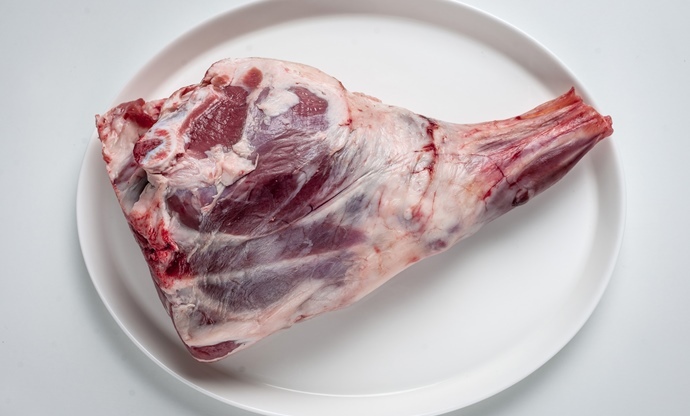 Younger animals are often eaten in simple ways – grilled over open fires – whilst older animals end up as delicious charcuterie like proscuitto, pancetta and coppa. This unique and unusual citrus fruit is native to Sardinia, and has a pleasant sour and bitter flavour not unlike a grapefruit, though it can often be larger with a much thicker, more wrinkled skin. It’s not always easy to find as it only grows in citrus groves around the town of Siniscola, where locals eat it with lashings of honey, or use it to make liqueur. 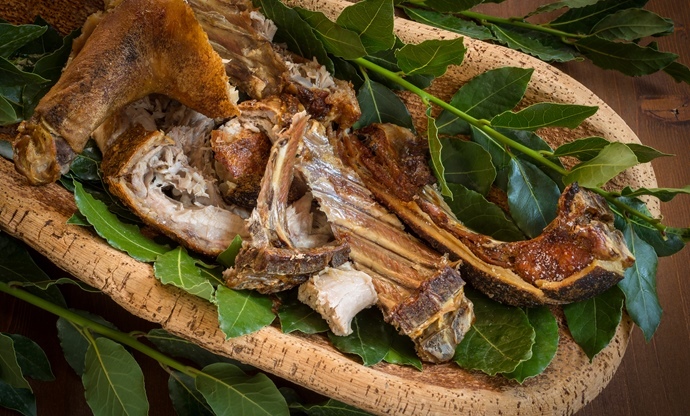 As it is in many cultures across the globe, suckling pig is a treasured delicacy in Sardinia, and locals prepare it in their own signature style. Myrtle and juniper are both plentiful on the island – you’ll find them frequently used in Sardinian dishes – and they give a beautiful smokey, menthol aroma to the suckling pig, which is completely wrapped in myrtle leaves before being slow-cooked over juniper wood until melting and tender. It looks like giant couscous, but fregola is actually semolina pasta dough, hand-rolled into little balls and toasted in an oven to give a nice nutty flavour and chewy texture. Although it’s often used in traditional Italian pasta dishes, you’ll find it in a whole host of salads, soups and stews too. 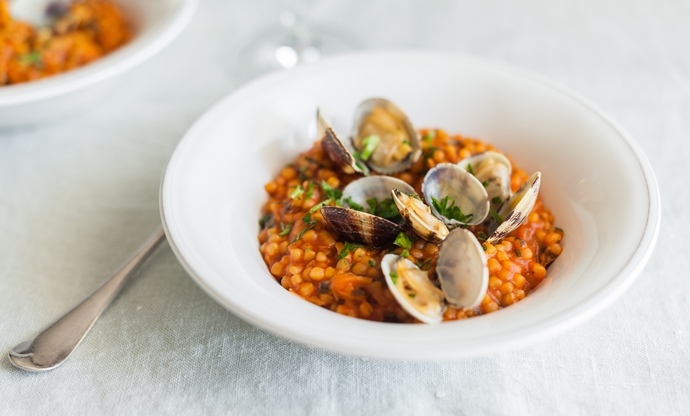 Seafood fregola with saffron is Sardinian through and through – a must-try if you’re on the island. Also known as carta di musica – literally, music paper – pane carasau was originally found preserved among the remains of Sardinia’s ancient Nuragic civilisation, meaning it has been eaten on the island for at least 3,000 years. Baked durum wheat flatbread is separated into two sheets and baked again to create this thin, crispy delicacy. Sardinians eat pane carasau with almost anything, so you’ll find it a welcome presence at almost every meal you eat on the island. 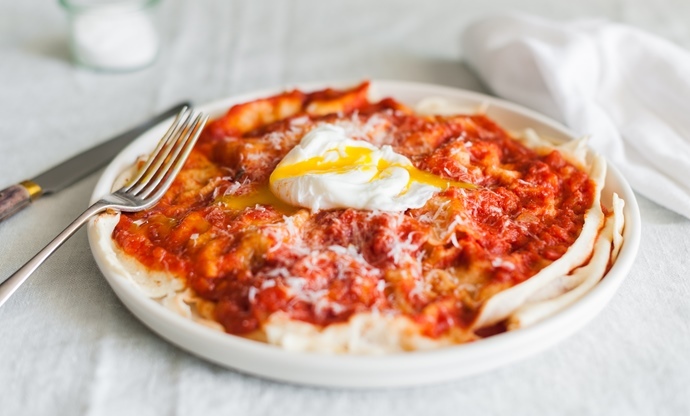 The most famous dish made from it, however, is pane frattau, which sees the bread topped with a tomato sauce and a poached egg. 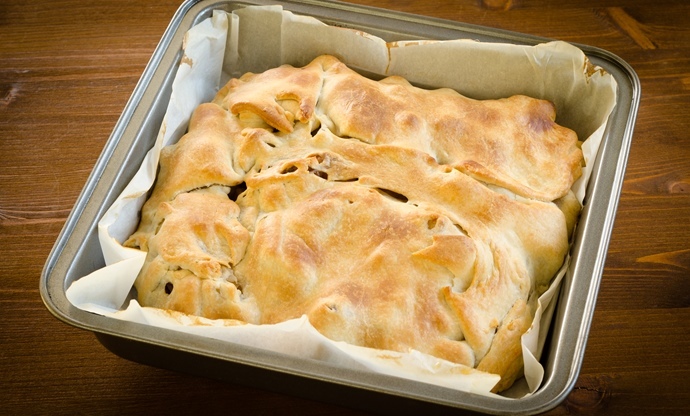 Panadas are Sardinian pies, originating from the small town of Assemini, just outside Cagliari. 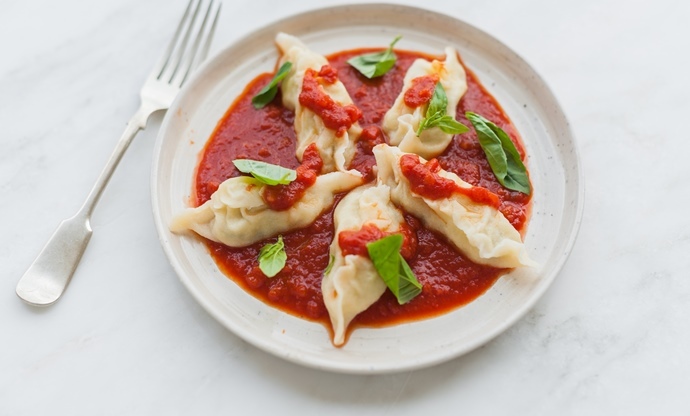 These days the fillings can vary hugely – you’ll find vegetarian and cheese panadas are fairly common, as well as beef and pork – but the most traditional pies have a lamb filling inside, which is fried then baked inside the pastry. If you’re lucky, you might even find very traditional eel panadas around, although they’re the least common of the lot. Although not typically associated with Italy, saffron is very popular in Sardinia thanks to the island’s Spanish and Arabian heritage. The luxurious, heady spice is used in a wide variety of dishes, but particularly in malloreddus, a small gnocchi – or gnocchetti – typical of Sardinia, made with durum wheat flour, water and a touch of ground saffron. 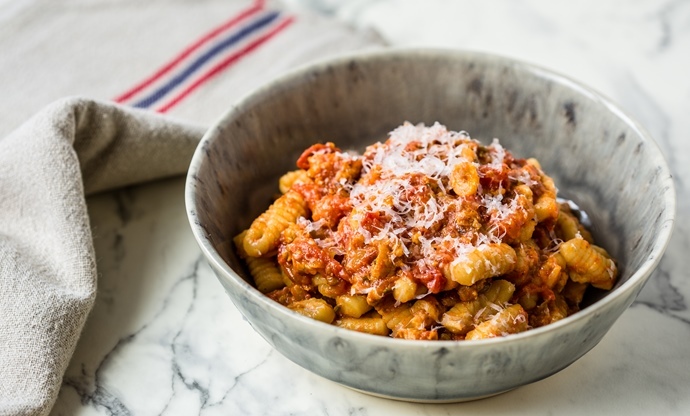 It’s often served as malloreddus alla campidanese, where the little gnocchetti are covered in a delicious sausage and tomato ragù, and sprinkled liberally with pecorino cheese. Even when you’ve eaten more than your share of incredible pasta, seafood and roasted meats, there’s always a bit of room for seadas. 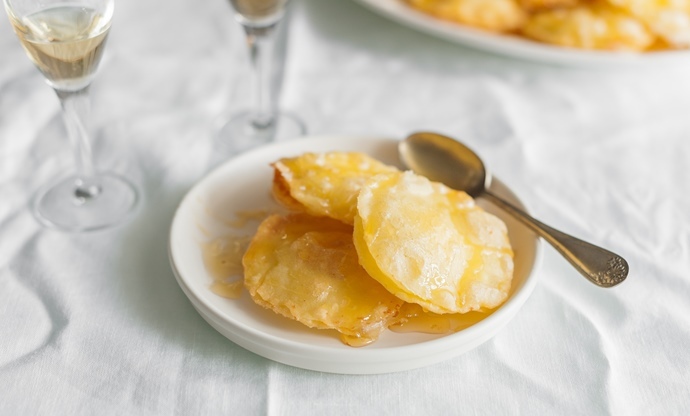 These gorgeous little dough parcels are deep-fried and drizzled with honey, and crispy pastry gives way to a soft filling of fresh pecorino. They’re often finished with a bittersweet grating of orange peel, too. Delicious. 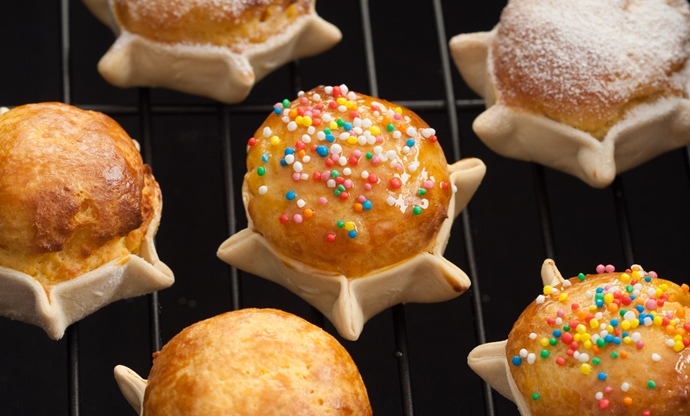 These curious little tarts are traditionally associated with Easter, although you can find them year-round in Sardinia's bakeries today. Filled with ricotta, citrus peel and saffron, the filling is a soft, moist sponge bursting with flavour. 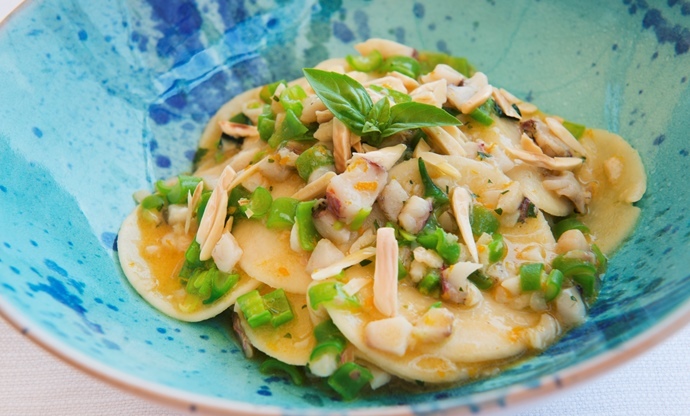 This is Sardinia's most beloved stuffed pasta, hailing from Ogliastra in east Sardinia. A simple dough is made from flour and semolina, before being stuffed with mashed potatoes, grated Pecorino Sardo (or Fiore Sardo) and fresh mint. They're robust, filling and perfect for keeping the island's hungry shepherds well-fed. The pasta is shaped to represent an ear of wheat.